Published in 1950 by Finney County Kansas Historical Society. Cover shows light wear, inside pages are clean. Title page has small mark by rusty paper clip. 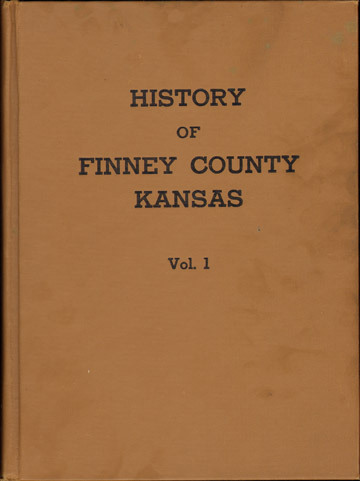 An interesting history of Finney County, Kansas. Also included are biographies of many individuals and families. Includes numerous historical photos of buildings, persons and families. Hardbound, 262 pages with index.